Tide is universal, but every shore is different. Inside tidal movements lie the elements of North Stradbroke Island (Minjerribah), including economics, demographics, flora and fauna, bodies of water, geographical features, island access, history and environmental concerns. Tidal presents the work of the Tidal Collective, a group of nine visual artists who have engaged in an artist residency at the Marine Research Centre on North Stradbroke Island. Each artist spent five days exploring and researching the island through drawing, photography and painting. Tidal shares these findings. 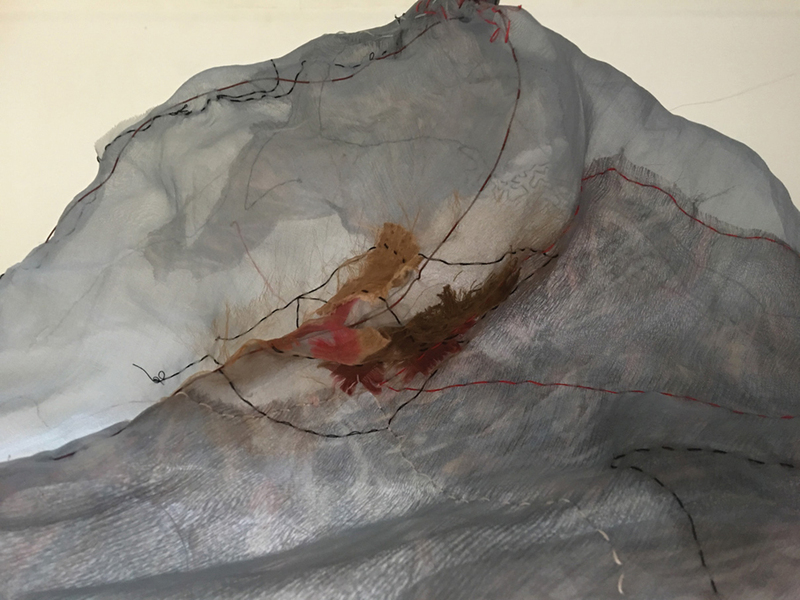 Image: Sylvia Watt, Flux (detail) 2018, silk, found textiles and wire. Courtesy of the artist.